Denver Comic Con starts up today, I thought I would pull out some of the great posts from the DCC's past. Here is Video Game Cosplay from 2016's Denver Comic Con. 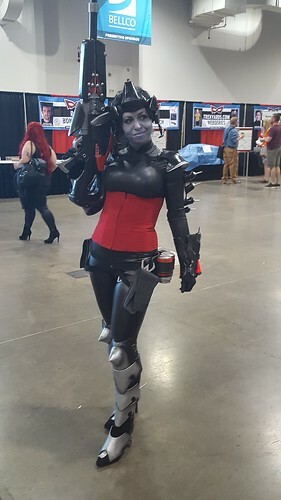 I am going to admit that I do not know nearly every video game character so if I missed your video game COSPLAY and it is awesome please don't be offended. 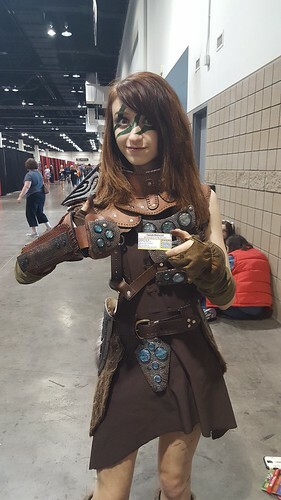 Here is a girl who was a hunter from Skyrim. I thought that was really cool as I totally dug Skyrim. A new version of Skyrim is also being prepped for release by Bethesda that includes all of the Downloadable content for the new consoles. With that news in the hopper it seems like this Cosplay was spot on. 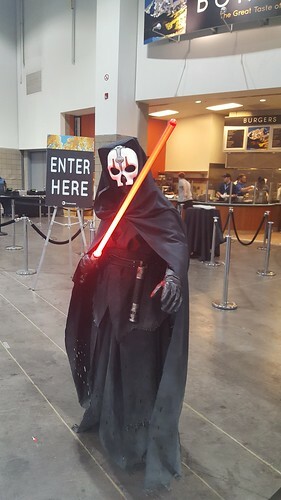 The Sithlord from Knights of the Old Republic 2. This guy was very cool his lightsaber made sound effects and everything. 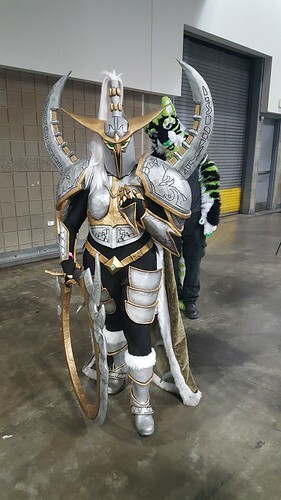 This cosplay was amazing and was recieving a ton of attention. It was hard for me to snag this picture the crowd around her was so thick. That said I'm not exactly sure what she is. I think she is a character from Mass Effect. If not please correct me. 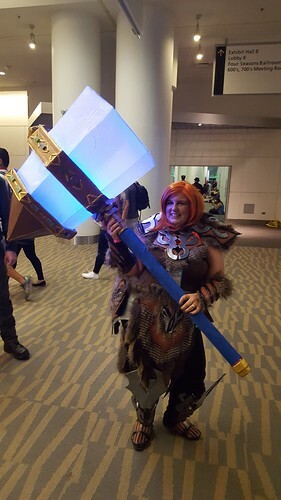 This lady's cosplay could be seen coming from a long ways away with her huge light hammer! It was very awesome. Here is the character in Diablo I think she modeled it after. This one was super cool. I believe a character from War Craft. Im not sure if this is from Video game or from a movie but I thought it was awesome. 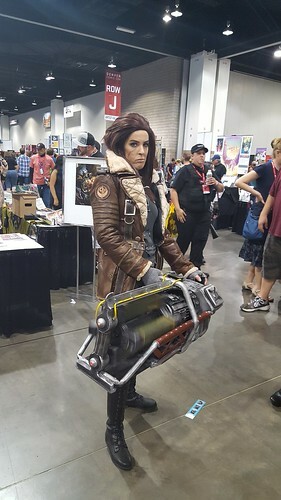 She has a huge hand made gun that had a spinning barrel. Felt like I was walking through rapture when I saw this guy. A Big Daddy complete with the scuba helmet and a giant drill hand. He also has a little sister right next to him. There were many more Laras this year. I even noticed one that looked exactly like the cover from the new Tomb Raider by Gail Simone and that was freaking awesome!